On 10 July 2018, we advised that the classic expense claims function would be retired on 31 January 2019. We’ve listened closely and taken on your feedback, and we’re pleased to announce that we’re now going to keep classic expense claims running as well as roll out the new Xero Expenses function. If you were using classic expense claims within the six months prior to 10 July 2018, you can continue using it for the foreseeable future. You’ll also be able to try out Xero Expenses for free until 28 September 2018. We’ve made some small edits to the blog below to reflect this change. 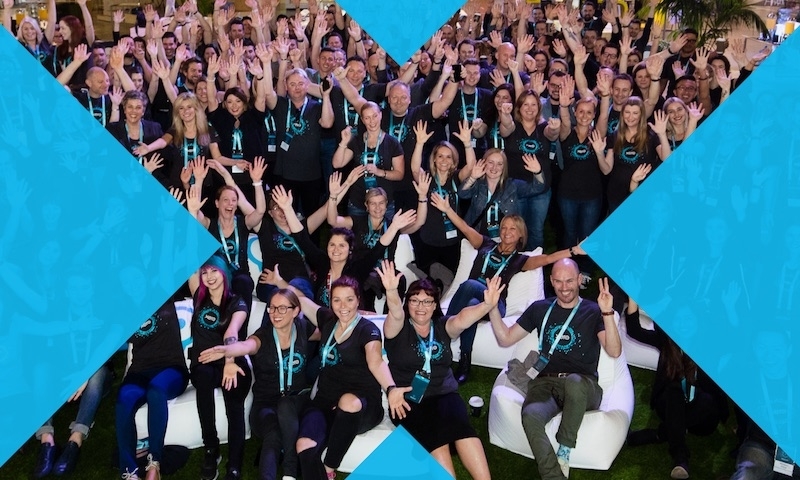 The Xero community has spoken, and we’d like to thank everyone for telling us what you think. We’re sorry to have misread the impact that retiring expense claims would have on some customers. At Xero, our teams work hard to deliver tools for your success. We’ve made continual improvements to features such as reporting, payroll and the mobile app. 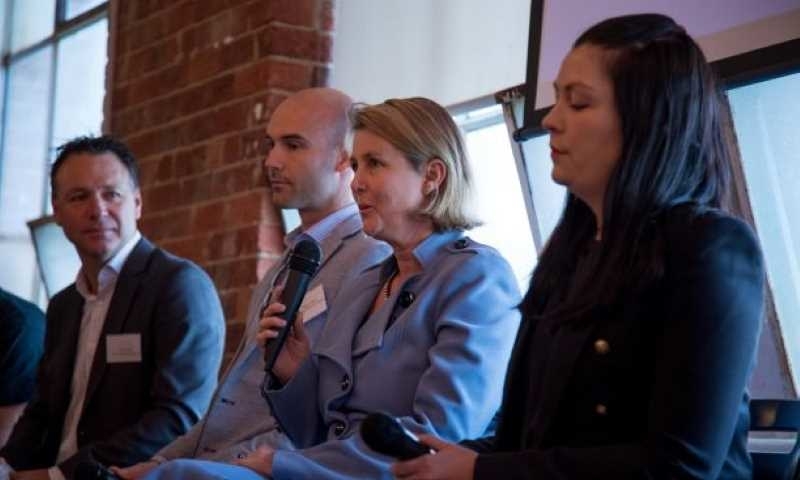 And for three years running, small businesses have named Xero the most-loved accounting platform and the best value for money in Canstar Blue’s annual survey. Since early 2016, we’ve devoted almost $250 million to research and development including new regulatory compliance such as Single Touch Payroll. We don’t adjust prices often, but we do revisit them from time to time to ensure they’re aligned with the value we’re delivering. Starting 28 September 2018, we’ll be changing prices to reflect the improvements in Xero and the cost of serving larger subscribers on a per-employee basis. Most subscribers will see no change in price. Many will find their plan has extra features at no added expense. And we’ve held the line on prices for standard, starter and partner plans. For the smaller employers, there’s some good news. The standard plan now covers payroll for two employees instead of one, at no extra expense. As small businesses add their first employees, they can be even more confident of keeping costs down. Our premium plans will see the biggest change in price. This reflects a rising cost to serve larger employers on a per-employee basis. We believe our pricing remains reasonable in this market. 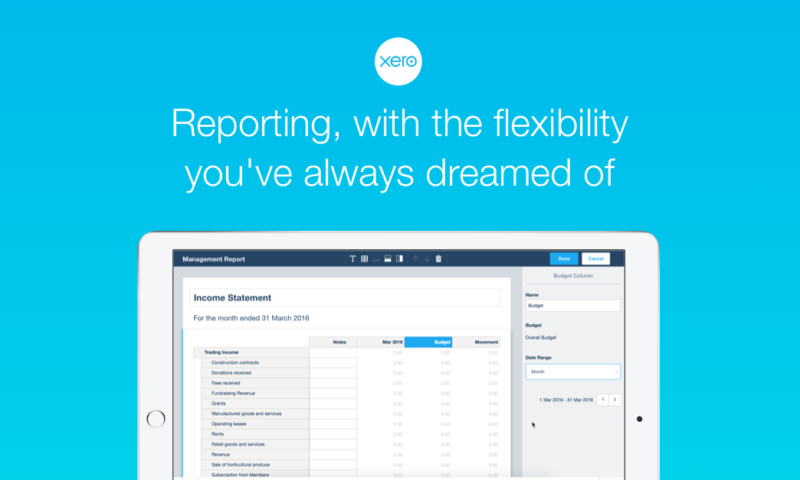 Payroll continues to be one of the strongest draws for employers on Xero. We’ve enhanced it by adding employment termination payments, the ability to deactivate unused pay items and to support working-holiday employees. We’ve also enhanced the opt-in process for auto-super and now offer super reports with proof of payments. We also have some exciting news about one of our earliest features, expense claims, which we’ve rebuilt from the ground up. Today we’re announcing the launch of the all new Xero Expenses. 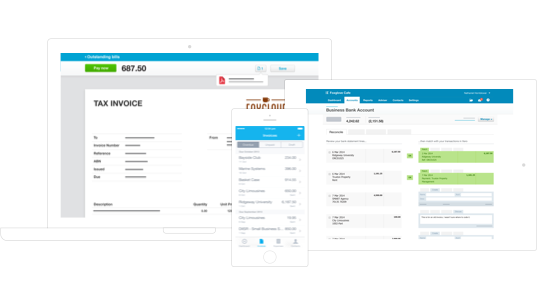 You can auto-capture receipts and submit expense claims on mobile devices, link billable expenses to Xero projects, and update reports. New permission settings allow control over who views, approves and pays claims. Best of all, Xero Expenses provides real-time insight into who’s spending, how much, and on what. Xero Expenses will be available to existing organisations for free from 10 July through 28 September 2018. After that, it will be available for $5 a month for one user and $5 for every active user after that. Be sure to have a look at it over the next three months. At Xero, we love small businesses and our accounting and bookkeeping partners. When they succeed, so do we. Here is a timeline showing some of the features and improvements we’ve delivered over the past two years. When will I see the changes on my invoice from Xero? The price changes take effect for existing and new plans from 28 September 2018 and will show on invoices from this date onwards. Invoices will likely have two lines: the period up to the price change, and the period after the change. The new pricing comes into effect 28 September 2018. I have a discount or promo code from Xero. Will it be honoured? If Xero has provided a current discount or promo code, it will continue to be applied to the new pricing from 28 September 2018 until the code expires. Q: How do I get started with the new Xero Expenses? Selecting your Xero Expenses users. Selecting the account codes you want to be able to match expenses claims to. Accepting authorisation of receipt scanning on your behalf. You have mentioned the costs of servicing payroll for larger clients as justification for price rises. One of my plan 50 clients does not use Xero timesheets as it cannot record shift start and end times which are required in their industry. No staff are invited into xeroMe as it does not meet their needs. Yet the fee increase applies. Xero timesheets are very basic and not worth this extra charge. Hi, Taryn. The cost to serve larger employers includes many factors. For instance, there are per-user fees for each auto-super event. 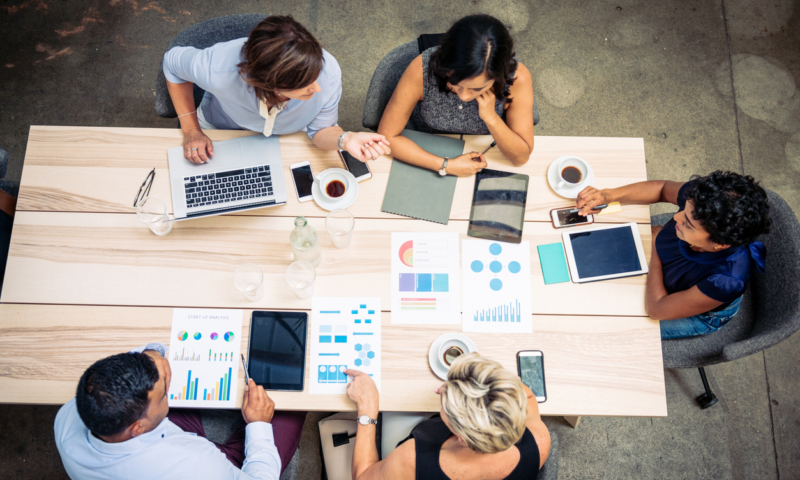 There are also are costs to build new compliance tools like Single Touch Payroll, which is now required for every business with 20 or more employees. I’m sorry hear that Xero timesheets don’t meet all your needs. But we are aware of the request for start and finish times, and I’d suggest you add your voice on this page if you haven’t already: https://community.xero.com/business/discussion/433010/ .Thanks again for your feedback. Re the number of employees. Does this refer to the number of current employees on the payroll, or does it also include former employees whose records are still on xero but have been terminated. OR does it just refer to employees who would be using the expense system [of which we have nil requirement for]. Hi Xavier. For subscription purposes the number of employees is not set by the number of active/former employees, but rather the number of employees paid within a calendar month. In determining which plan you fit, the key figure is the number of unique employees you are paying (posting a pay run for). The number of employees (current and former) in your database is irrelevant and does not impact your subscription. For more information feel free to reach out to our team via support@xero.com. In regards to expense claims if you don’t require it then you simply don’t use it and won’t incur any costs for it. No reasonable person objects to incremental price increases across the board every now and then to cover the ever-increasing cost of doing business. It’s the way Xero does it. Every time a price increase is introduced, it’s always disproportionately worn by certain users who happen to find themselves on the wrong side of whatever the new pricing model is. Features they were using for free now cost money, the included number of employees are now not included, and so on. It’s never simply a dollar or two increase across all plans to reflect CPI. It’s always a massive increase for some and nothing for others. That makes partners look bad and undermines client trust in the subscription model. Certain unfortunate users are suddenly hit with increases of up to 50% just to keep doing what they have always done. Thanks John, we’ve taken your feedback on board and your Account Manager has left a voicemail for you to discuss directly. She’ll try again in the morning if she can’t catch you today. I have just logged in to see that Xero will charge an extra $5 a month for expense claims! I’m not a big user so this was using Xero had become marginal at best over the past 4 years. I was an eager, early adopter but I think there have been too many add-ons and exclusions over time. I think you’ve just made it worth my time to change to Reckon. Hi, Anita. The new Expenses is a vastly improved product compared to the original expense claims feature in Xero. It’s free for existing users until 28 September, and we’d encourage you to give it a try and let us know what you think. We value you as a Xero customer, and we hope you’ll remain with us. I agree. I am a small business (1 employee) but I need the Premium 5 account to process multi-currency payments so instead of paying $25 per month I will be paying $55 per month!! I have only just decided to move over to Xero and am still in Trial mode. This is not what I was expecting! Hi, Dan. Thanks for writing in, and thanks for trialing Xero. Just to clear up any confusion, our $25 starter plan has never included multi-currency and is unaffected by the recent price adjustment. The pricing for premium 5 will rise by just $5 a month, which is the first adjustment in over two years. We think it’s a reasonable value, and we hope you will too as you give Xero a try. With all this development on Payroll, I would have hoped that you would have fixed the inability to accrue leave based on more than one Ordinary Time Earnings pay item. This is an absolute must have for anyone in fast food/restaurant industry with so many rated. Hi, Neil. Thanks for the feedback. I’ve passed on to your account manager your suggestion that any future price changes be made on the anniversary of a subscription. As to the feature you asked about in payroll, can I suggest you add your voice to those also requesting it at Xero Community? It’s the best way to let us know what features are most wanted by partners. There are also some suggested workarounds on that Community page that might help in your situation. I suppose you have to subsidise the cost of trying to get into the US somehow. Charge the Australians and kiwi’s that built the business. Meanwhile Competitors now has bank feeds and is aggressively marketing $2 per month files with 10 payroll employees… superior is one thing, but when the price is that low the substitution effect has to kick in. It also begs the question, are we to expect these price increases every two years? Hi, Leonard. Thanks for writing in. We don’t have a timetable for price adjustments, but we do review prices occasionally to ensure they’re aligned with the value we’re delivering. We’ve analysed the software market and feel confident that our pricing is reasonable. We value you as a partner, and I’ve passed on your feedback to your account manager. The Standard plans now offer processing for 2 people. If a someone with 2 employees moves from Prem 5 to Standard plan (saving $10p/m) – do they also lose the auto-super functionality? Hi, Heather! The answer to your question is yes: if you’re on premium 5 and move to the standard plan, you’ll lose auto-super. Thanks Demian – that is what I thought. I understand that you can’t fix everything and keep everyone happy all of the time. I agree that probably a key area of focus for everyone is payroll, so it’s great that you’ve worked hard to keep payroll up to scratch. We don’t use expenses at all in our business, so to me personally, I don’t care about the fan fare on expenses. One thing that most of us use is batch payments, and I’m sad to see that our complaint has gone without action for a few years now. 2. “pay” credit notes (ie be able to select them within a payment to a supplier without having to allocate the credit first)? Thanks for your recognition of our payroll efforts, Ann. I’ll pass them on to our software development team in Canberra. I understand how important batch payments is to you. Quite a few factors go into Xero’s decision on which feature requests to prioritise; this article does a good job of explaining them. https://www.xero.com/blog/2016/08/xero-not-building-feature-want/ That said, I’d encourage you (any other likeminded Xero users!) 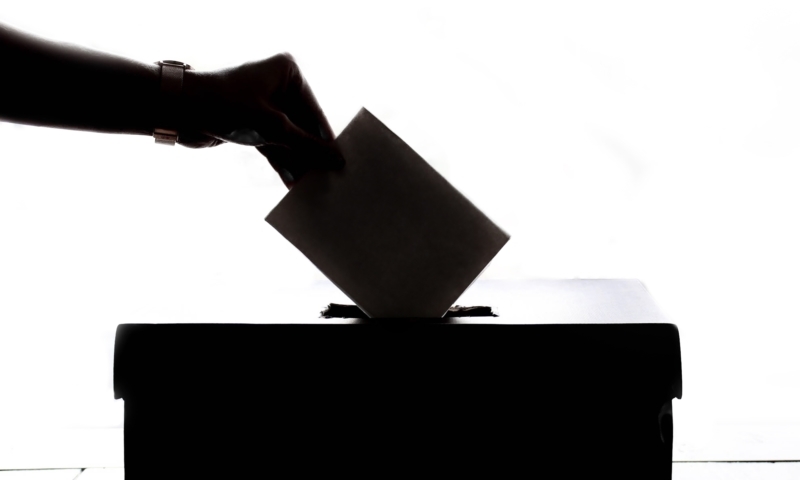 to vote for batch payments in the Xero Community. This sort of feedback lets developers know how important a requested feature is. If I find out any news about batch payments, I’ll be sure to let you know personally, Ann. We appreciate you taking the time to write in. We have 3 employees- part time ones. We need the premium plan in order to do Superannuation. I fail to see how Xero represents good value for businesses with only 3 employees when I have to pay the price as someone with 50 employees. Now looking elsewhere for software solution. Hi, Clare. Thanks for writing in. If you’re on a premium plan and have only three employees, you should be paying considerably less than a business with 50 employees. Please see the pricing table at the top of this page. If you’d like to choose a different plan, please click the “?” icon the next time you’re logged into Xero, and we can help you out. Yet again Xero increase the price and remove functionality for small businesses. It might be time to start checking out the competion. We are on Premium 5. We will pay $360 more per year consisting of $5 more per month for the base service plus $25 more per month for 5 expense users. Why are we paying more for the basic service when you are killing off a key feature: expenses. This is great news for Xero’s competitors! Hi, Darren. Thanks for writing in. Just an FYI that the first $5 for Expenses covers one user who can submit claims or have claims submitted on their behalf. Then it’s $5 for every additional “active” user, which is a variable charge. So it may be just $20 a month rather than $25, for example. If an employee files no expenses in a month, there’s no charge for that user. Xero Expenses offers faster expense capture to reduce data entry and more flexible user permissions to give complete control of who can view, submit, and approve or pay an expense claim for or on behalf of someone else. We hope you’ll give it a try while it’s free to you until 28 September. Trying to work out this cost process.. we’re trying to implement a paperless expense claiming system. Are you saying that I can have 5 employees and if only 1 employee actually submits an expense claim this month, I will only be charged $5. But if 3 submit a claim, then I am charged an extra $15 that month? If no expenses are submitted that month, is it a $0 extra fee, or still sits at the flat $5 per month rate charged anyway for the privilege? I honestly think it should be a flat rate to use fee. Ie Xero is $x per month, plus $x per month for the use of expenses for up to 5 employees (etc – like you do the subscription). May I also ask, how to authorisers work/get charged? If I am an administrator who solely authorises expense claims (but does not submit any myself), am I charged $5 to use the system? Hi Linda, thanks for writing in. If you’re solely authorising expense claims but not submitting any yourself, you aren’t charged. For per-user costs, please see this page, which I think should answer your questions. My understanding from this is that you are taking a part of the system that is frequently used without problem and is free for all users (expenses), re-vamping it and then charging per user for the privilege. I run a not for profit account and have several people using expenses. I’m not going to pay double to continue using exactly the same services I am using already just because you’ve decided to tweak part of it. As an early adopter of the Xero platform I now find myself in a position where I am looking to get out before the next round of profiteering kicks in at your customer’s expense. A few dollars increase here and there with a bit of shifting of subscription boundaries is acceptable. Taking away an existing feature and then charging $5 a month per user for it absolutely isn’t. It’s been good while it lasted, Xero. Hi, Leighton. Thanks for choosing Xero and remaining with us these last few years. We don’t want to see you go, and we’d encourage you to try out the new Expenses while it’s free to use through 28 September. Please let us know what you think of it; we’re keen to hear feedback from customers like you. The original expense claims function will also remain available to submit and approve claims until 31 January 2019. Am I correct that with 5 on payroll we will be increasing from $60/month to $65/month? Secondly (and this is what is actually blowing my mind) if my staff want to lodge a receipt/s for reimbursement that they have been doing via their app that this will now cost $5per employee per month? So potentialy if all 5 lodge receipts in one month it will cost us $25 extra bringing our monthly bill to $90???? And is this charged on a month to month basis when and if they lodge receipts? I am really hoping that I am misunderstanding because if not, this price review aka money grab makes xero completely unviable for our small not for profit! Hi, Shana. You’re correct, the cost for our premium 5 plan will be $65 a month, starting 28 September. And thanks for letting us know how the new Expenses will affect you. You’ve correctly calculated the monthly bill if all five employees were to submit receipts in the same month. But please note that if an employee submits no expense claims, there’s no charge for that extra employee. Can I suggest you try out the new Expenses and let us know what you think? Note too the original expense claims function in Xero will remain functional through 31 January. Thanks for writing in. I’m a sole-trader using the Standard plan because I need to reconcile more than 20 bank transaction lines each month. As a sole-trader with a low-turnover business, I often make business purchases on my personal cards, and then make an expense claim in Xero to reimburse myself from the business account later. Does the change to Xero Expenses mean that I will have to pay $5 per month, or $60 per year, to be able to make such expense claims after 31/1? If so, that would push my total Xero cost to $660 a year, which is a lot of money for my tiny business. It’s also a big increase, considering I am perfectly happy with the current expense claim system for my sole-trader purposes. I’m really enjoying using Xero, and I don’t want to change. I simply want to understand if this change is compulsory, and if I will have to pay extra to keep making expense claims in the future. “Xero Expenses will be available to existing organisations for free from 10 July through 28 September 2018. After that, it will be available for $5 a month for one user and $5 for every active user after that. Be sure to have a look at it over the next three months. Hi, Zoe. Thanks for writing in. You’ve calculated the cost of Expenses correctly in your case, i.e., $5 a month. But please note the new Expenses has many more features than the original expense claims function in Xero, including powerful analytics to produce a detailed and real-time overview of spending habits and patterns. We hope you’ll give it a try over the next few months while it’s free for existing users and let us know what you think. What a joke! CPI in Australia is less than 2%! You remove functionality and add cost and then force clients into different subscription levels. Hey ACCC is this price gouging?? My clients are now questioning my decision to recommend Xero. They are now highlighting the cost of your competition, which I must say is now providing a product which is nearly identical for portion of the price. My clients are now starting to come to me asking why Xero? My answer? There is no real difference. I am now losing the synergy and will require more work on my end. So I am now saying why Xero? Some serious questions for me to ask about my practice! Just like MYOB you will become less favoured unless it listen to your customers! Hi, Mark. Thanks for writing in. It sounds like you’re a Xero partner. If so, could you please reach out to your Xero account manager? We take your concerns seriously and would like to address them personally. Alternatively, reply to this comment and give the email address you used when signing up for Xero. We’ll see that someone gives you a call. Thanks. Damien, there is a clear message in all these feeds, your price increases are unreasonable, above CPI and despite your repeated encouragement for people to try the new expenses service, it will be mandatory within six months meaning significant extra expense for many users. This is pretty poor form. For us that will mean an extra $20 – $40 per month for expenses and an extra $5 per month for the plan. I have to say I agree with Mark above and would strongly encourage you to listen to the feedback and not give glib responses saying it is free til September. seriously any accountant, book keeper of year 9 maths graduate can tell you that doesn’t make a tiny bit of difference when the ongoing cost is significant. The very least you could do is maintain the current free expenses service as a standard part of the package forever. 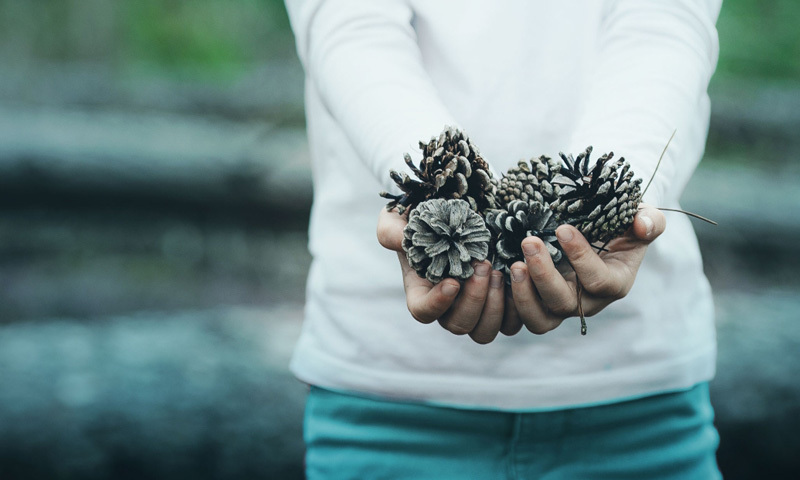 We have four organisations using Xero because as an early adopter it was better than the rest. We will certainly be looking for alternatives now. Hi, Ben. We’ve listened closely to our customers’ feedback on Xero Expenses, and we’re pleased to announce that we’ve decided we’re going to keep classic expense claims running as well as roll out the new Xero Expenses function. If you were using classic expense claims in the six months prior to 10 July 2018, you can continue using it for the foreseeable future. We’re sorry to have misread the impact that retiring expense claims would have on some customers. I hope this helps address your concerns. I can’t believe this, you are effectively increasing the price of my 2 Xero files by 44% and on top if I want to use your Expense feature I have to pay another $5 per user. To do this after the start of the financial year so we have to wait a year to swap software is wrong and I believe it was done intentionally, shows the character of the management team at Xero. To use the $250M R&D as the reason is garbage, you are a SAAS company your subscriptions pay for this. To use Single Touch Payroll as a reason is a joke as you didn’t and still don’t have it available for your existing subscribers. To change my 2 files back to MYOB Account right (which has phone support, a lot more features and has now come into the 20 century) and have then hosted in the cloud will cost me $130 for both, Xero is going to cost me $275 for both over double the price. Can you tell me after the 31st of January are we going to be forced to pay the $5 per user even if we are happy using the existing expenses? Are you not only making the base price for your software ridiculously expensive but are you going to charge for all new software developments by a user pays model? Hi, Coby. I have a bit of good news to share. We’ve listened to your concerns and those of Xero customers like you, and we’ve decided we’re going to keep classic expense claims running as well as roll out the new Xero Expenses function. If you were using classic expense claims in the six months prior to 10 July 2018, you can continue using it for the foreseeable future. It is included in your subscription cost. We’re sorry to have misread the impact that retiring expense claims would have on some customers. Let us know if we can do anything else for you. 2. Cough up another $5/month for the privilege of using your upgraded expenses system. Hi, Chris. We’ve listened closely to our customers’ feedback on Expenses, and we’re happy to announce that we’ve decided we’re going to keep classic expense claims running as well as roll out the new Xero Expenses function. If you were using classic expense claims in the six months prior to 10 July 2018, you can continue using it for the foreseeable future. We hope this helps address some of your concerns about the choice between Xero Expenses and the classic expense claims function. Thanks for writing in, and let us know if you have any questions. We’ve used Xero since we started our Restaurant 6 years ago and moved my healthcare business across at the same time. We have 2 full-time employees and a lot of casuals that work any from 3 to 15 hours per week. Because of this, we fall into the higher employee bracket and pay a high premium. Over the years I’ve couldn’t tell you how many people I’ve recommended Xero to but after this announcement, I started looking into other options like MYOB. The fact that I now have to manually import my statements for our credit card each week because we are with Combank just annoys me. My bookkeeper informs me that her MYOB clients don’t have this issue…disappointed in Xero lately. Hi, Steve. Thanks for being such a longtime customer. I just wanted to let you that CommBank does supply feeds to Xero for business credit cards but not personal ones. If you’re interested only in personal cards, there are other financial institutions that have feeds into Xero. In the meantime, we’re constantly working to expand the type of feeds that are available to Xero subscribers. We appreciate your feedback, and let us know if there’s more we can do for you. Thanks for the explanations. Although, the one thing that you could build, which would truly improve my use of XERO and a number of people like me, would be to include basic WET accounting. To date, you have always pushed this down the bottom of your priorities. So I find it hard to feel good about a price increase when you have always declined to offer this critical basic accounting feature for my business and others like me. Please correct me if I am wrong and the features are available / becoming available. Hi, Charles. Thanks for writing in. At this stage, we don’t have the ability to handle WET accounting. Other users have asked about it too. If you haven’t already, you can add your vote to those requesting the feature at here. I wish I had more to offer, but that page will be the best place to follow any progress on WET. Thanks again for the feedback and for being a Xero customer. Hi. I’d like clarification please. Signed up to Xero in June in anticipation of importing 6 years of data for overdue tax returns due to personal health issues it just didn’t get done. Because of the large amount of data I used a free trial to test the import – and successfully brought in 4000 rows of transactions. However when I went to replicate this into the PAID subscription I somehow accidentally ‘edited’ the original file and coupled with the live feed that had been active for 5 weeks I could’t figure out the problem and have been in touch with Xero to cancel the paid one and today upgraded the trial to a paid sub. We had thought you could have overwritten the paid sub with the trial sub data which would’ve sorted the problem but that’s not possible. I just went to enter 6 expenses manually – and have realised I can’t as thats now blocked because the new account today is after the date change. Given that we’re actually still the same customer – please can you confirm that we can be given access to the Classic Expense feature? There are minimal expenses that will need to be entered this way as sole trader – just the cash and items paid from personal funds, so really don’t want to have to pay extra $60 a year for an occasional addition of an expense. We had hoped to just use the $25 a month system but he’s got more than 20 transactions a month so had to choose the standard. My issue is I’ve to add 6 single expenses – 1 for each past FY year and I”m confused about how that would be charged in the new system. Can you clarify – would that charge be $5 for every entry as the date is a different year, which would be $30 ie. 1 entry for June 13, 14, 15,16,17 & 18, – or are you saying it’s just $5 as I’m entering ALL the expenses this month August 2018? And because they’re all ENTERED in August then it’s just the $5 – even though the entries may cover different months/years? FYI I’m actually a Xero shareholder through my SMSF and have only heard positive things when i’ve asked people if they use xero – they rave about it, but am also very aware of the MYOB recent upgrade and how they are now highly competitive – which having read the above comments they seem to be getting that message across. I am not a bookkeeper just someone who has a pretty good understanding of how bookkeeping works and for our scenario I love the software and it has been AMAZING for getting those 4000 entries reconciled. Thank you so much for the the ‘apply RULE’. feature. He is amazed at the bank feeds and now knows that he’ll never be in that position again as I can do the coding remotely if he finds himself falling behind. So you’ve now got 2 more people telling EVERYONE about how fabulous Xero is. I’d be grateful for the clarification. Hi, Clare. Thanks for writing in, and for being not just a Xero customer but a shareholder 🙂 Your case sounds like a pretty complex one. To ensure you get the help you need, can I ask that you log into Xero, then visit this page. At the bottom, there’s a “Get in Touch” button that will allow you can file a ticket with our Customer Experience team. They’ll get back in touch with you. I don’t think that the price increase is warranted, small businesses are struggling enough. I have also noticed that the app on my iphone is incredibly slow it keeps kicking me out all the time and continually having to log in a few times a day to take receipt photos, even on the internet page trying to do your bills or invoices kicks you out and you have to start again. Not sure what you guys are doing but it should be fixed. Thanks for the feedback, Carol. I’m sorry to hear you’re experiencing slowness with the Xero app. If it continues, can I suggest that you get in touch with our Customer Experience team to see if they can help sort it out? While logged into your Xero account, just click the “?” icon at the top of the page to get started. Thanks again for writing in. Our organisation chose Xero over other cloud based applications to account for the operational side of our business. As we are just over the 20 employee threshold our costs increase 39%, but we have no additional functionality. We were considering adding projects for 2 users, but this now puts our year on year increase to 58%. I understand that there has been considerable R & D into the product, but as a previous subscriber noted, the increases are more heavily borne by some than others. Thanks for the feedback, Michael. Your point is a valid one; we did adjust prices to reflect the higher cost to serve larger employers on a per-user basis. We appreciate you being a Xero customer, and we hope that you continue to find value in our platform. Thanks again for writing in. 1) The new app does not allow you to choose which bank account was used. For example, did I pay using the company card or my own personal card or cash (for which I need to be reimbursed). And when I went back to the old app to submit expenses when I chose “I want to be repaid” it forced me to the new app! 2) Next it appears that each individual receipt creates a separate bill as opposed to being able to group the receipts together to submit one invoice. 1) It would be ideal if when I selected a billable account that links to the receipts are provided on the invoice (I have been asked for copies of the receipts from my clients). The concept of the app is to photograph and throw away the receipt – makes it hard to provide copies. I think more time should be have spent testing this app before release and the old one should still be operating until you at least have the new app ‘on par’ with the old one. Ben, thanks for writing in. We appreciate the suggestions. I’ll pass them on to our Development team. Just to be clear, our original “classic expense claims” feature remains available for the foreseeable future, provided you were an existing user of classic expense claims before 10 July 2018. Thanks again for your suggestions on the app. As an accountant, is there a way we can see how many employees each of our clients have? I’d like to review our list to see if there’s any we can move from the Premium 5 to Standard subscription level on September 28. Hi, Ben. The only way to see how many employees each of your clients have is to go into their individual files.